Love . Imagination . Growth . Healing . True Identity. Click Here for a 5 page PDF Invitation to Join The Light Center as a Cofounding Charter Member! 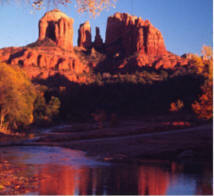 The Light Center was incorporated in April 2008 as a non-profit membership organization in Arizona. The Membership Benefits include a periodic electronic newsletter, free and donation basis e-books, periodic webinars and teleseminars, discounts on hundreds of featured resources, free bonuses every month and other benefits as identified by the Charter Members who will help further define and develop the Membership Program. Based on other similar membership programs, we were advised to set up a matrix of membership levels ranging from $10 to $100 a month and Lifetime Charter Memberships ranging up to $1,000. Because we want to provide valuable services first and then let members pay what the programs and products are worth to you personally after trying them out, we are also experimenting with a 100% volunteer donation basis for setting the membership tuition. You will be empowered to decide what you pay for membership services every month, either after receiving the membership benefits for that month, or in advance if you want to experiment too and let us try to dazzle you with far more value than any amount you might donate. For more information, please review the Membership Options Page. Thank you! To help continue upgrading the interim City of Light Information Center, we are inviting anyone who is inspired to participate to become a Charter member for only $100. For more information on this opportunity, please read on below. Thank you! If you would prefer to send a check, please let us know to reserve your place by calling Genii at 928-284-5566 or send an email to thelightcenter@gmail.com and send your donation to The Light Center, PO Box 20072, Sedona, AZ 86341. Thank you for your support and participation .